St Michael’s approaches each family assessment on an individual basis. We have many tools to choose from and will use several during the course of an assessment, depending on the particular needs of the family. Practitioners may use the Parenting Role Interview (PRI) to obtain a parent’s view of themselves as parent and the role of parent; the Attachment style Interview (ASI) to assess the characteristics of a parent’s attachment style; PAMs (the Parenting Assessment Manual) to provide insights into parents’ difficulties; Video Intervention to promote Positive Parenting (VIPP). Also in our tool box are the Graded Care Profile, Still Face experiment, 3 Islands, Genograms and Timelines, Historical and Generational Perspectives, as well as eco-maps, storybook work, picture and DVD work, role-modelling, empathy exercises (‘in my shoes’) and scenarios. We also take pride in having developed the evidence based 5-A-Day programme as a practical tool to support parents to promote their child’s physical, social, emotional and intellectual development. Here we discuss how PAMS helps to shape the parenting support we offer. PAMs incorporates clinical discipline in a highly complex and sensitive area, and complements other assessments and interventions that we may use, depending on the needs of the family. PAMs assesses parents’ issues with independence, social tasks and their ability to problem solve, and provides highly practical support for parents to identify potentially harmful situations and behaviours, and to learn and practice the skills to reverse them. It also highlights helpful behaviours and how to build on them. PAMs assesses an incredible total of 333 skills. There are three physical components: question cards in the form of cartoons to assess parents’ knowledge and ability to reflect; the Parent Booklet which is a learning tool; and software to enable the practitioner to link and cross check findings and to produce a sophisticated report which includes measured data sets. The PAMs assessment is very thorough, taking place over six to 12 weeks at our residential houses. The number of weeks reflects the planned length of the residency and baseline capabilities. PAMs is a very visual tool. It can be used as a general parenting assessment tool and we find it particularly useful for parents with learning difficulties who may find it difficult to understand questions and to formulate answers. Abstract questions beginning “Imagine if …” may hold little meaning for them. PAMs' picture cards depict domestic situations about which parents are asked direct questions to determine their understanding of situations indicative of abuse or neglect or good parenting. 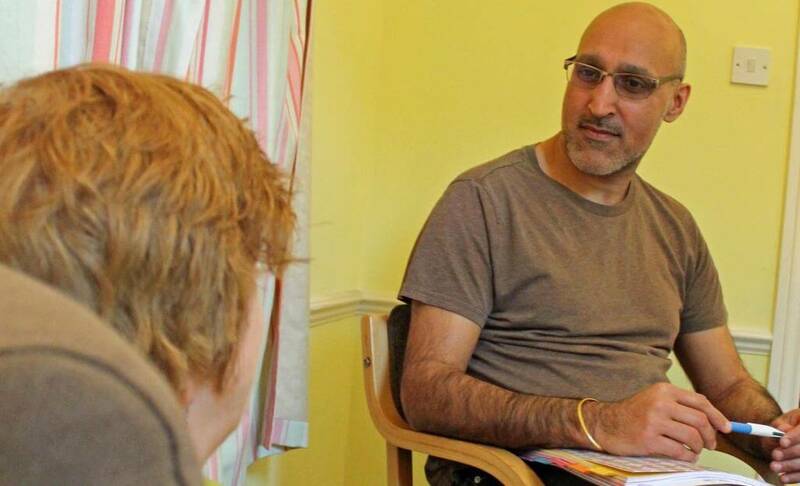 We also find PAMs highly suitable for parents with mental health issues because their responses to or avoidance of very direct questions reveal so much about their inner life and their ability to reflect. This in turn is an excellent indicator of their capacity to change. As well as giving practitioner a clear indication of how the parent understands the situation illustrated and how it shapes them as a parent, the picture cards and Parent Booklet are tools to work with parents. Learning sessions cover housing, transport, allowances, use of household equipment, medication, form filling, advocacy and resources. Beyond these core skills, there may be specialist issues around attachment, mental health, abuse and substance misuse. Where parents have learning needs and have a limited attention span, sessions are likely to be for half an hour. With other parents they may be longer. Teaching and then observing how lessons are implemented start within the house and then move outside to consider the parent’s confidence using public transport, road safety awareness and ability to plan ahead for a trip out with baby equipment and supplies. As an integral part of residential parenting assessment, observation is very detailed. Our latest prezi explains what makes St Michael's residential family assessment service unique.